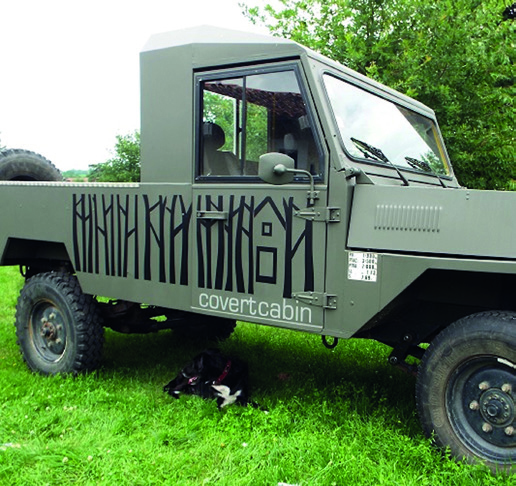 Proudly emblazoned along the flanks of Bob Kirkwood’s huge, army-green Sovamag TC10 (a kind of French Land Rover on steroids) is the logo for Covertcabin, the award-winning eco-tourism business he’s run with wife Diane in this wild and dramatic region of southwest France for well over a decade. 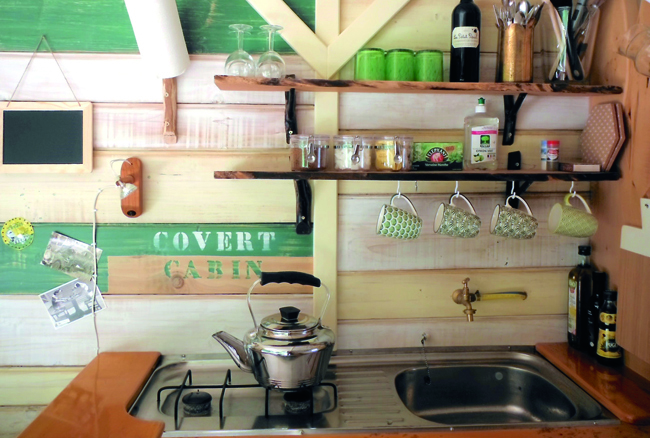 Covertcabin couldn’t be more aptly named. 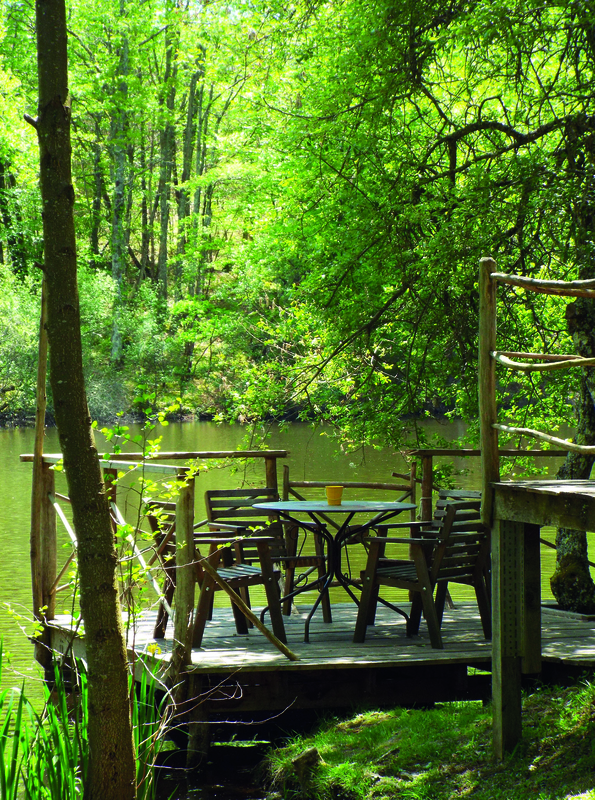 The three wooden chalet/lodges built and designed by the couple are perfectly hidden in lush surroundings, so the ‘vert’ in covert pretty much counts twice. Each is set within a tumbling wall of emerald leaves at the point where they mingle with the rushes and fat lily pads on the edge of an absinthe-coloured lake, so still you can hear each ripple. 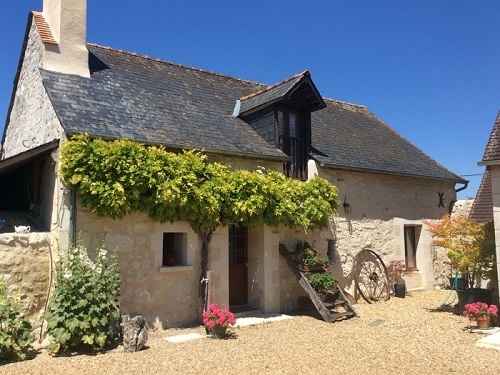 Before they moved to this extraordinary pocket of France back at the start of the millennium, Bob and Diane lived an hour outside London, in the very heart of south east England’s bustling commuter belt. Here, Diane worked as a restaurant chef, while Bob busied himself as a successful joiner. 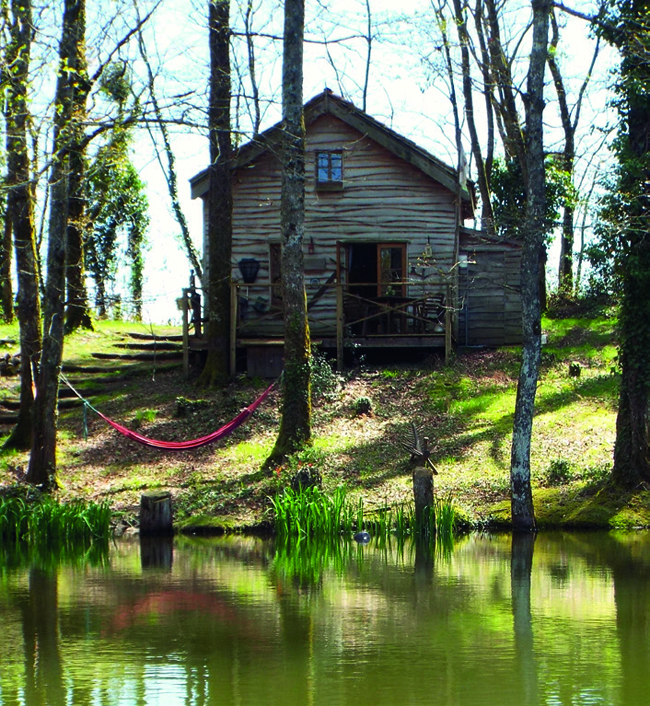 Today they live pretty much an hour from anywhere, in the stunning heart of the Parc naturel régional Périgord-Limousin. 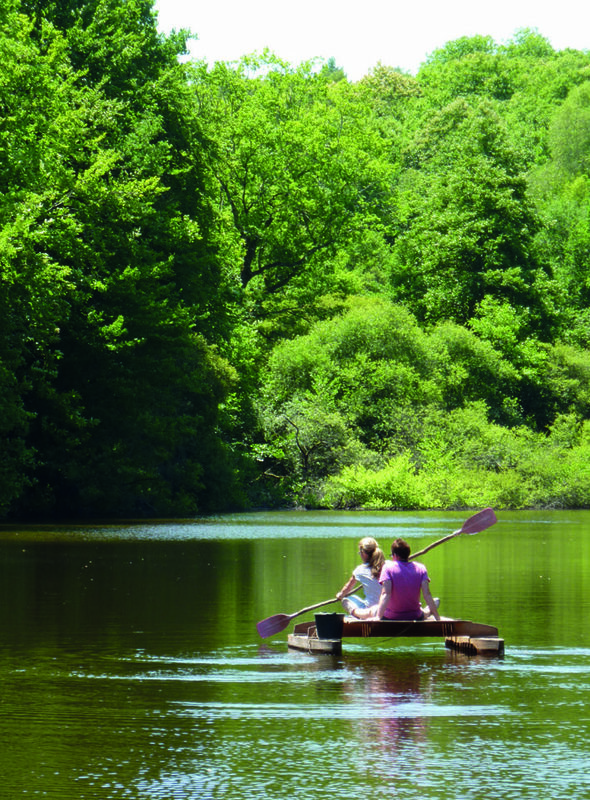 Spanning 1,800km2 of the Dordogne and Haute-Vienne départements, this area is not so much a beautiful slice of countryside as an authentic wilderness brimming with a huge profusion of wildlife. Among the dramatic granite outcrops and limestone cliffs that define much of the landscape nest 110 different species of bird, from the black kites who ride the thermals high overhead to kingfishers skimming the clear, fast-paced rivers that criss-cross the region. Forty species of mammal, including a profusion of wild boar and deer, inhabit the park and its moorlands, woodlands and meadows host a whopping 25 known species of orchid. Unsurprisingly with this natural abundance, humans have been living here quite contentedly since the Lower Palaeolithic Period (which ended 200,000 years ago). However, as charmingly down to earth as these cabin-dwellings are, each contains considerably more home comforts than a stone-age cave. Solar panels provide electric lighting (although most prefer the night-time glow of candles and hurricane lamps); wood-burners provide extra warmth; and Bob’s own ingeniously designed water heating system, curled around their metal flues, ensure the luxury of a hot shower. Meanwhile, composting toilets take care of the ‘bare necessities’ of life. The couple went back to the UK and put their home on the market, returning here as soon as it was sold and buying the rustic stone farmhouse they live in today. “Our initial plan was to make our living renovating interesting local properties and selling them on, which is something we’d had a bit of experience with back in the UK,” Bob recalls. The lake came with just over six acres of woodland, but due to a severe storm a couple of years previously, it had become an impenetrable mess of fallen trees and brambles. 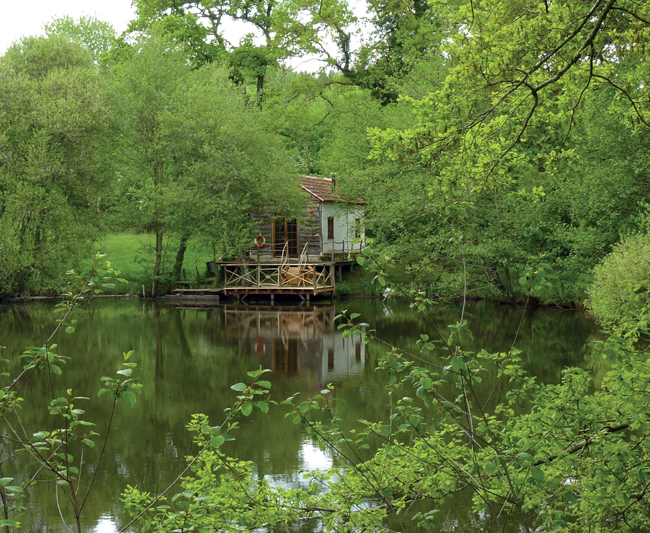 So the couple focused on the area around the lake – and more specifically the block-built ‘bunker’ on the water’s edge. The couple had everything they needed to transform the ‘bunker’ into a far more aesthetically pleasing cabin, in the form of the fallen trees scattered across their land. 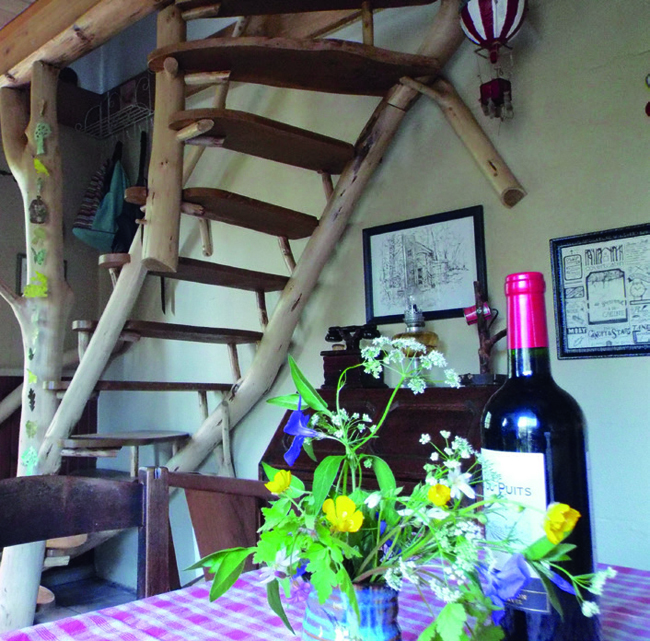 “The wood turned out to be a mixture of oak and chestnut, a perfect combination for timber building. Oak provides strength and durability while chestnut is pliable and versatile,” explains Bob. 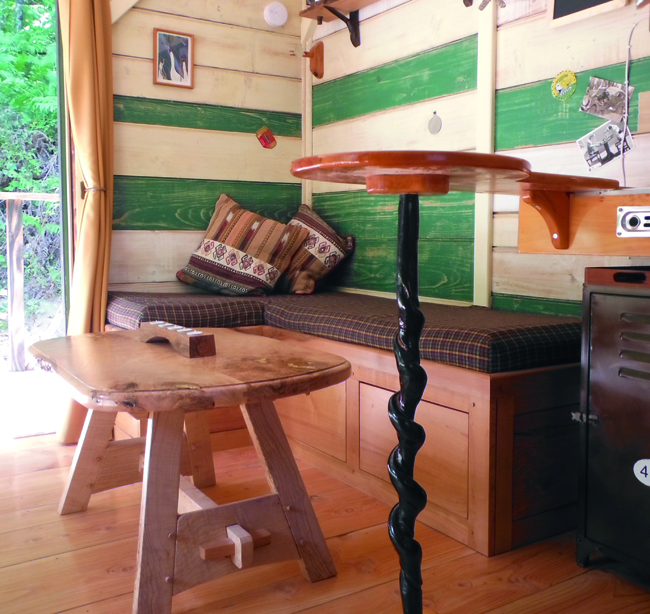 Over the next few months, Bob used his joinery skills to create the couple’s first cabin, complete with jetty. 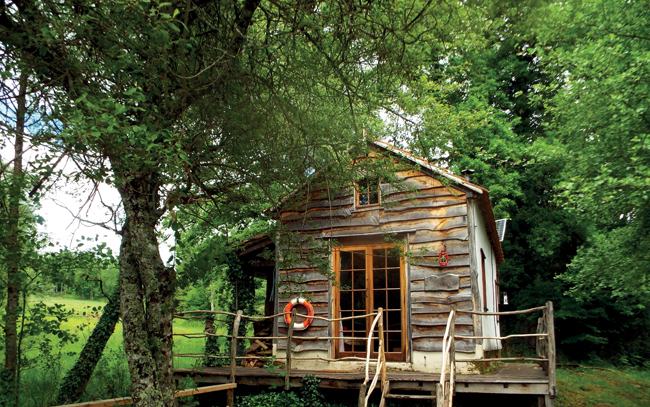 Today, another two bespoke cabins also enjoy their own secluded spots on the lake shore, all built from reclaimed timber and displaying Bob and Diane’s craftsmanship and careful attention to detail – from handmade staircases to quirky fitted kitchenettes. Each one even comes with its own pontoon raft (also made by Bob), spacious enough to carry a couple of cushions and a picnic basket for a lazy afternoon on the water – perhaps casting a prospective line for catfish, while sipping on a glass of something cool. Over the past decade, a holiday market with properties set in splendid isolation and boasting superlative eco-credentials has grown exponentially. 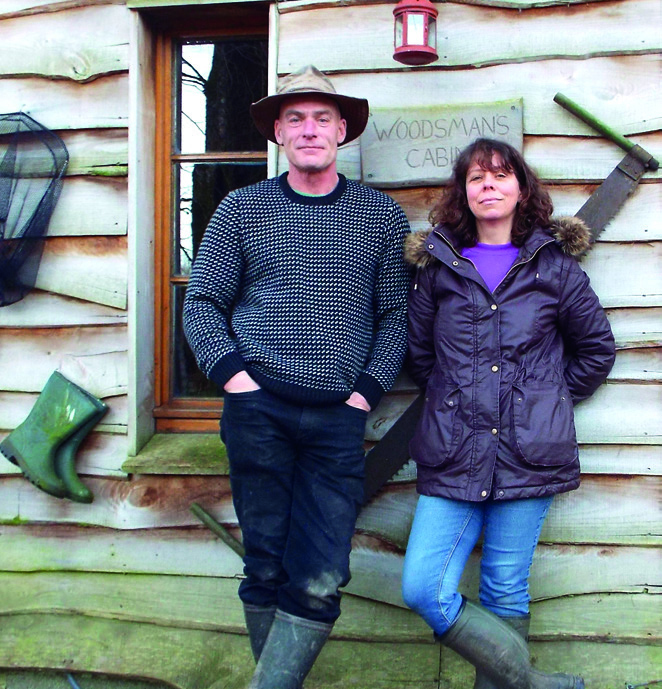 This was a great stroke of luck for Bob and Diane, as this surge in interest in eco-tourism – along with their creativity and combination of skills – set their enterprise on the right track back in 2004. 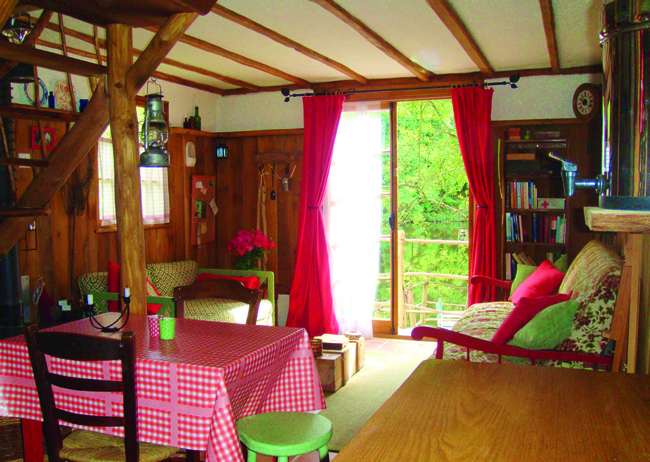 This has culminated in the business being acknowledged by the foremost publisher of guides to alternative destinations, Sawday’s, which recognised Covertcabin with its ‘Squeaky Green’ award in 2014. Gratifying as this may be, it’s the effect this very special location has on their many guests that still brings Bob and Diane the greatest pleasure. “I can remember one lady who suddenly realised she couldn’t use her electric hair straighteners and panicked as her husband had never seen her with curly hair,” Bob recalls. “Fortunately he liked it! In the heart of southwest France, the Dordogne region is named after the river flowing through it. With its glorious landscape, romantic châteaux, bastides and ancient caves containing prehistoric art, it really packs a punch. Try regional specialities duck and truffles and local tipples from popular vineyards such as Montbazillac and Bergerac while you’re here. Transport links are good with three international airports in the region.